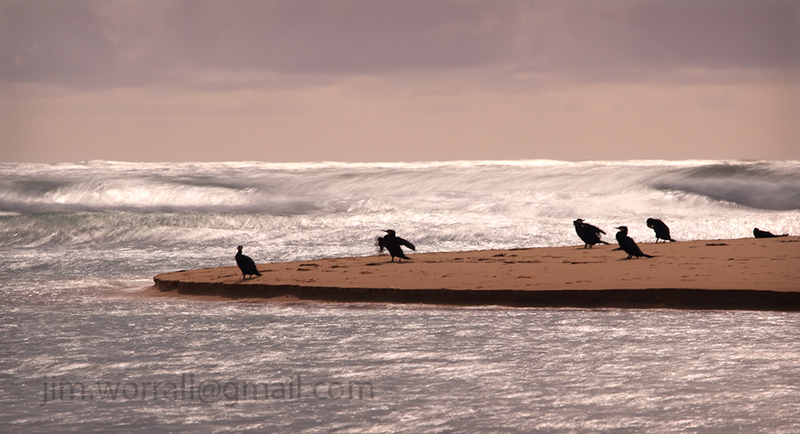 A one second exposure of cormorants drying themselves after fishing at the mouth of Powlett River. 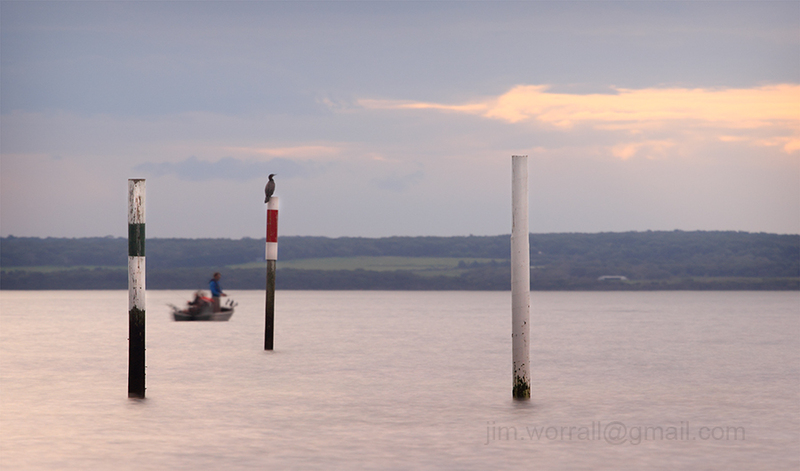 Below are a couple of images from Bridgewater Bay in Blairgowrie, on the Mornington Peninsula. This crepuscular ray sunset appeared for maybe a couple of minutes before disappearing behind thick cloud. Sunset at Bridgewater Bay. Available as a print at Zazzle and Redbubble. 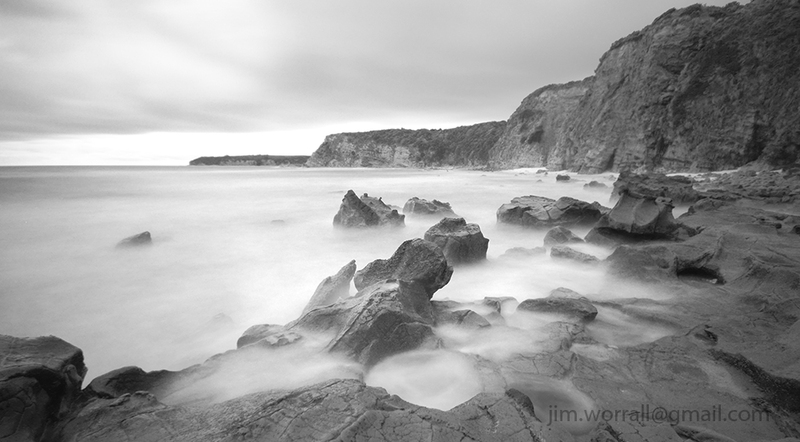 Pictured below – A long exposure image of the locally famous rock formation in Bridgewater Bay. This image is available as a print at Zazzle and Redbubble. To visit Bridgewater Bay drive to the car park at the end of St Johns Wood Rd in Blairgowrie. It’s a short walk from the car park to the beach. 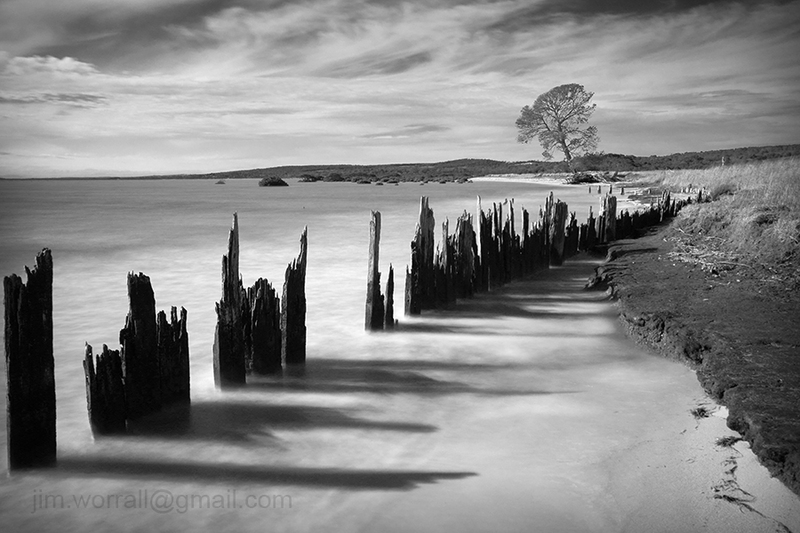 Pictured below, a long exposure image from the Bay of Islands on the back beaches of Sorrento. Access to the Bay of Islands is via Diamond Bay Road, Sorrento. There’s a small car park at the of the road. On arrival at the car park take the walking track to Diamond Bay and branch left at the Bay of Islands sign. It’s an easy short walk to the viewing platform. Access to the beach is discouraged by Parks Victoria due to erosion on the beach, hence a short climb down is required from the viewing platform if you want a view from sea level. This image above is available to purchase as a print at my Zazzle and RedBubble sites. 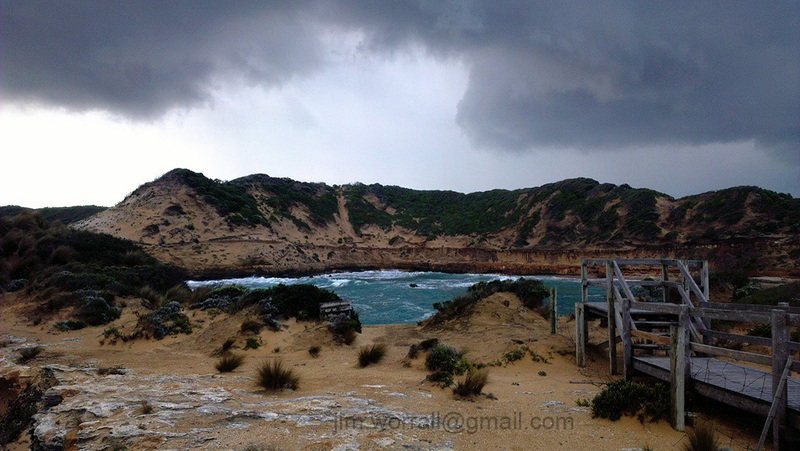 Pictured below – A phone camera shot of a storm brewing over Diamond Bay as viewed from near the viewing platform. 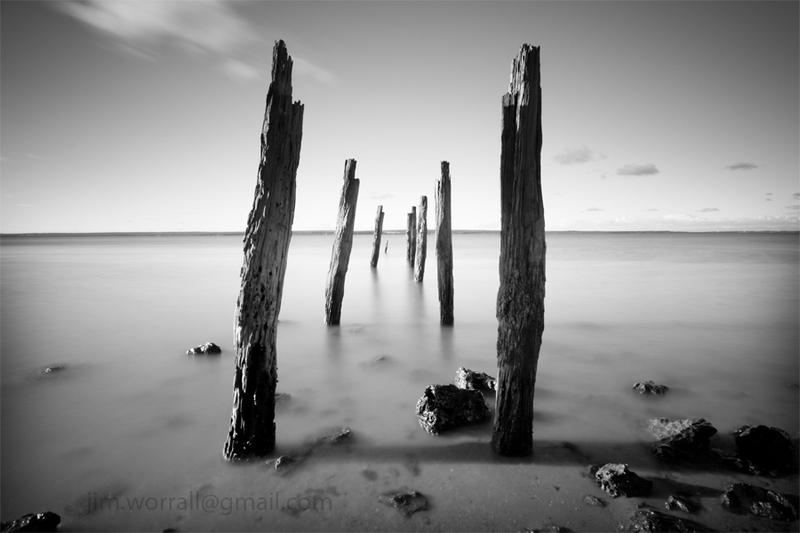 Using the ND400 filter to obtain a ten second exposure during the afternoon at Coronet Bay, Victoria, Australia. 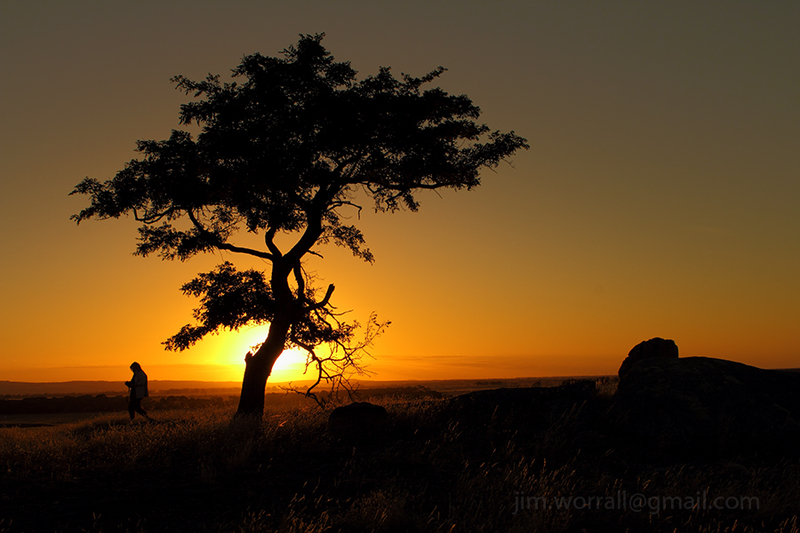 This image is available to purchase as a quality print from my Zazzle and Redbubble websites. A long exposure image from the beach at Queensferry, Western Port Bay. 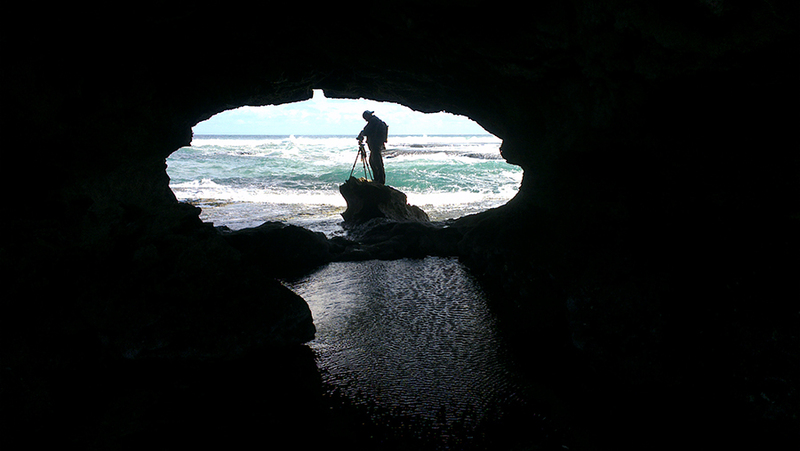 Following are a couple of images from under the London Bridge rock formation, Portsea, using my phone camera. 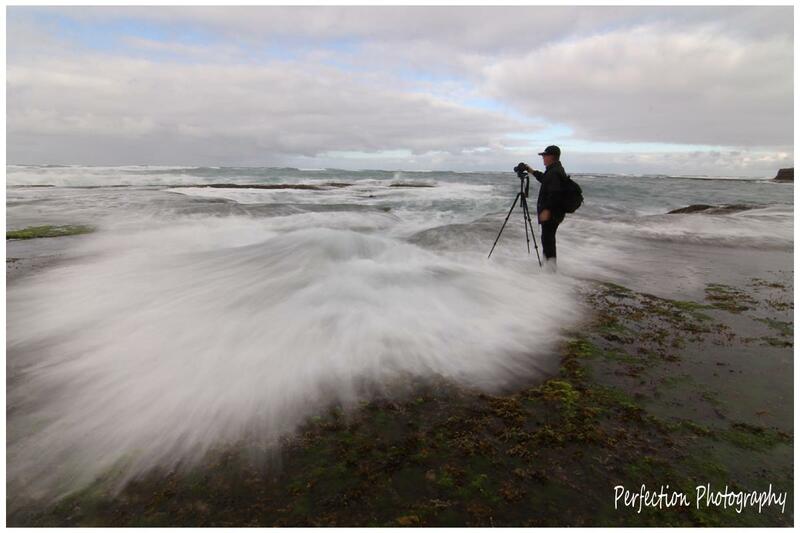 My mate steadys himself ready to take some shots of the turbulent sea. 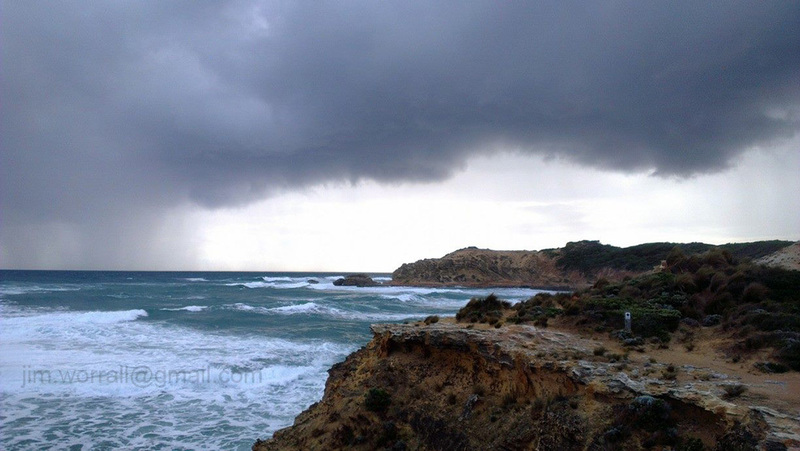 A wild and stormy morning at Pulpit Rock, Cape Schanck. 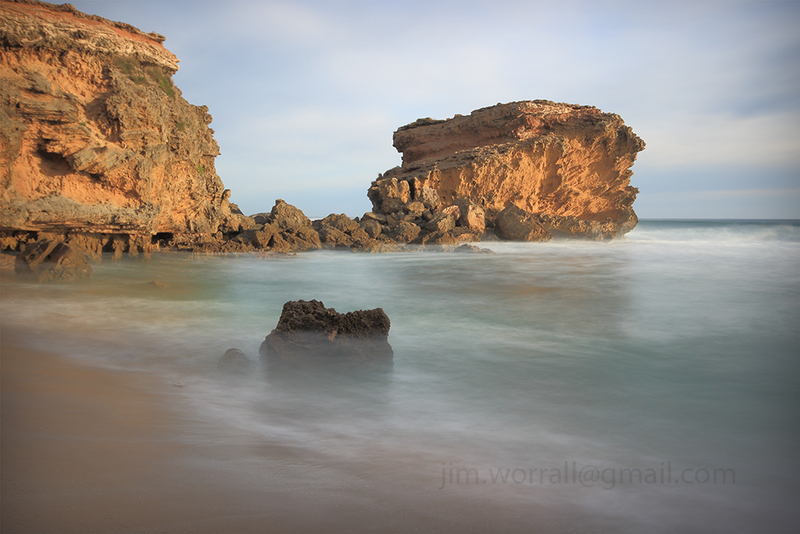 A daylight long exposure image from the mouth of the Powlett River, Victoria, Australia. 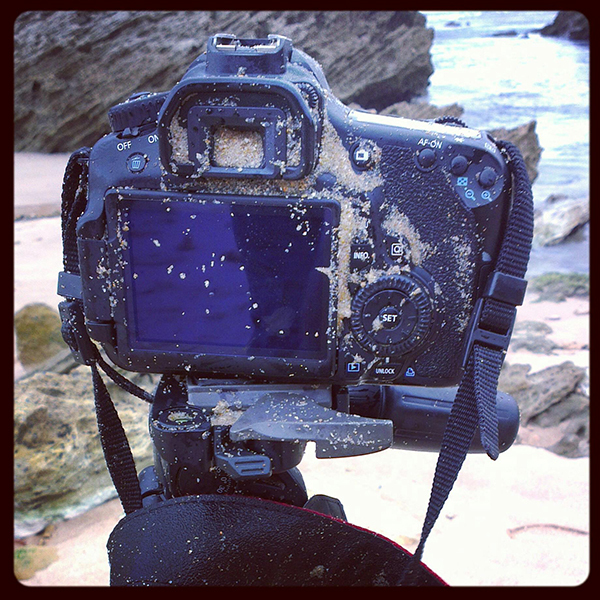 This is a commemorative post marking the drowning of my Canon 60D at Portsea beach last month. 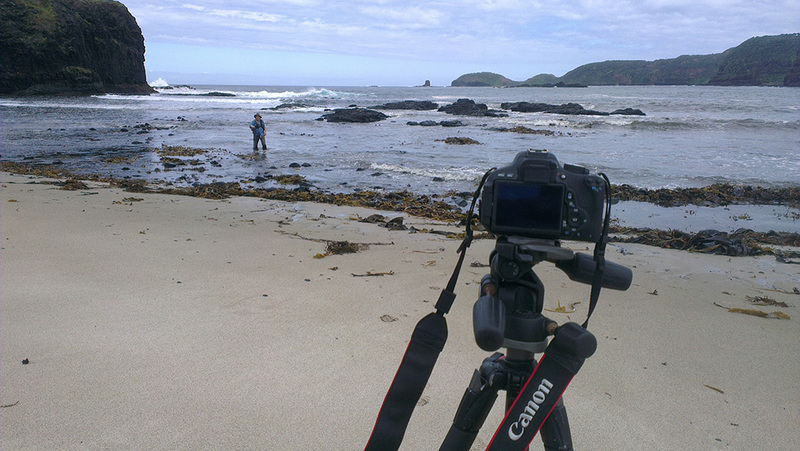 An outgoing wave pulled the sand out from under one of the legs of my tripod causing the whole rig to topple into the surf. The poor 60D was only 12 months old and was a replacement for my 40D which drowned in similar circumstances in early 2012. The event also marks the death of my Sigma 10-20mm, a true workhorse who managed to survive the first drowning in 2012. 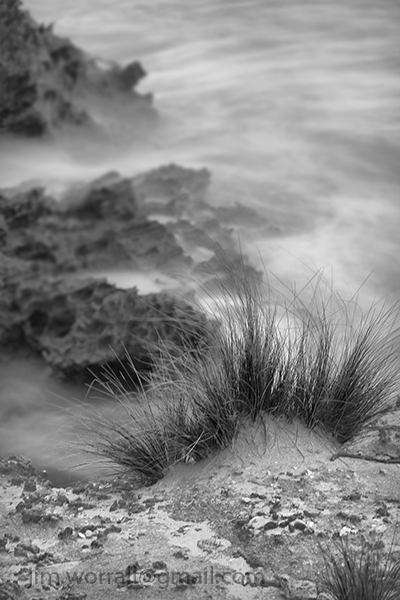 Above – Portsea beach. Quality prints available through Redbubble or Zazzle. 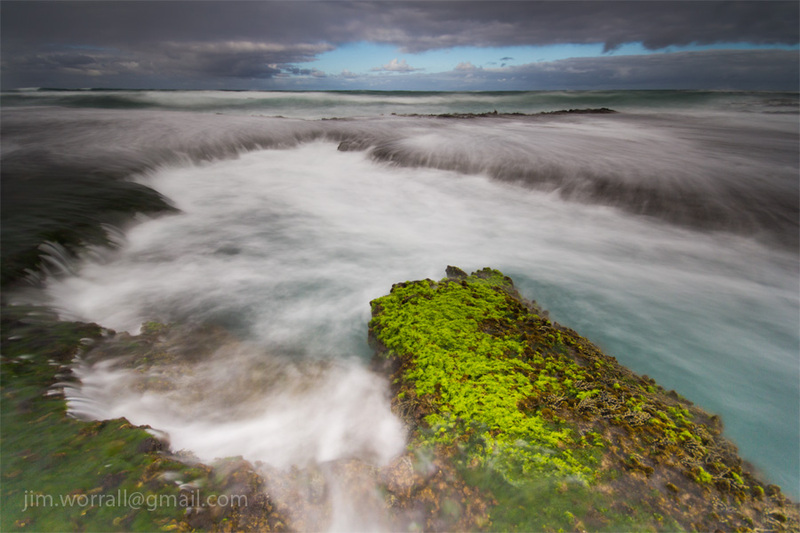 A dawn long exposure image from the Mornington Peninsula’s rugged ocean coastline. 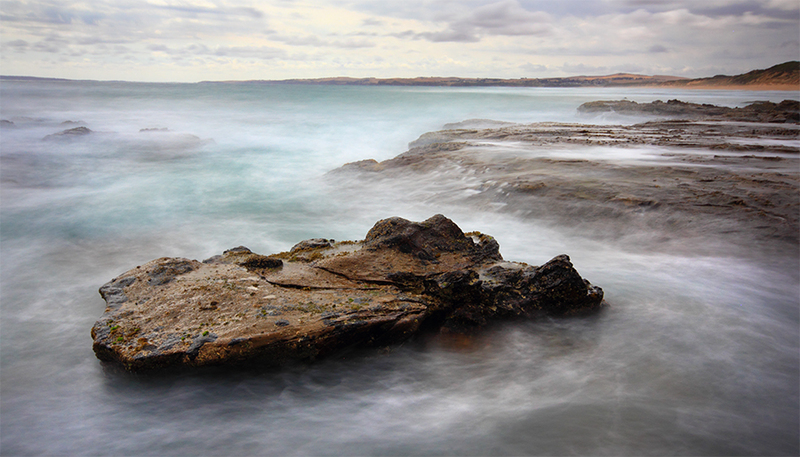 A long exposure image from Sorrento back beach, Victoria, Australia. The last rays of the day create a warm glow on the back of the Sphinx rock formation. Available as a quality print at Redbubble and Zazzle. 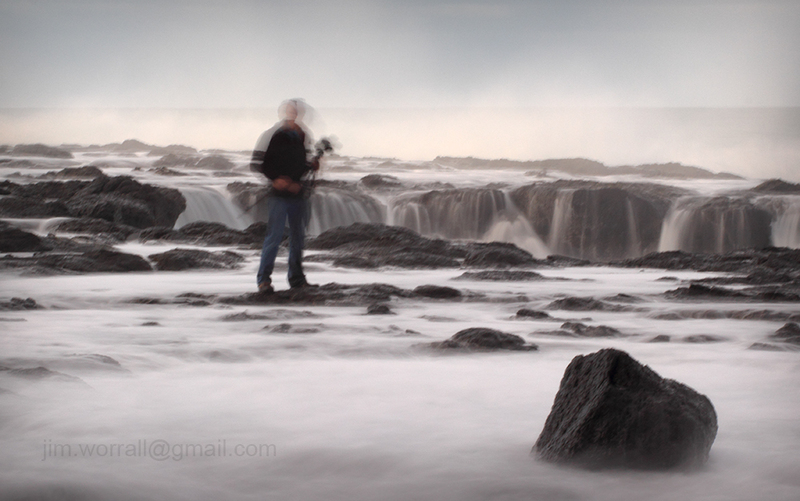 A couple of long exposure images from the surf beach at Kilcunda. 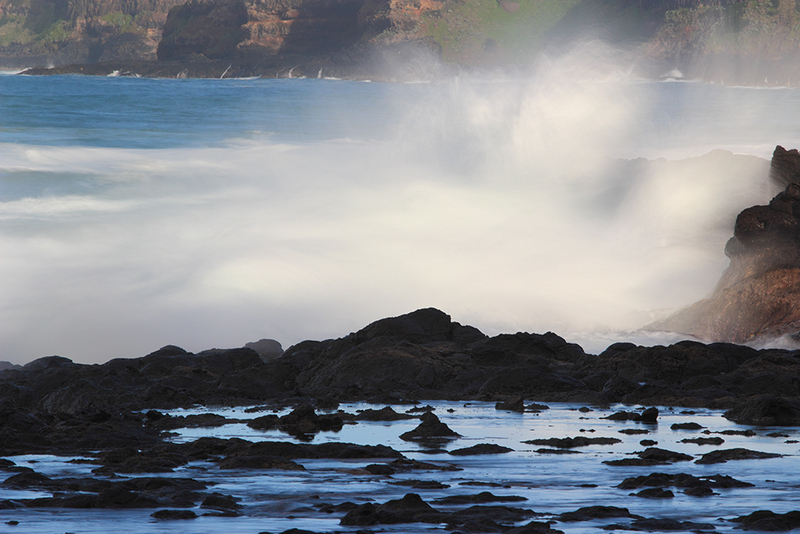 A couple of images from a dawn shoot at Pulpit Rock, Cape Schanck. Yes, I know, it’s not like me to be up before the birds. I don’t know what got into me. The images were taken during a welcome break between showers. Sunset at Dog Rocks, Batesford. The image is available to purchase as a high quality print through either my Zazzle or Redbubble websites. 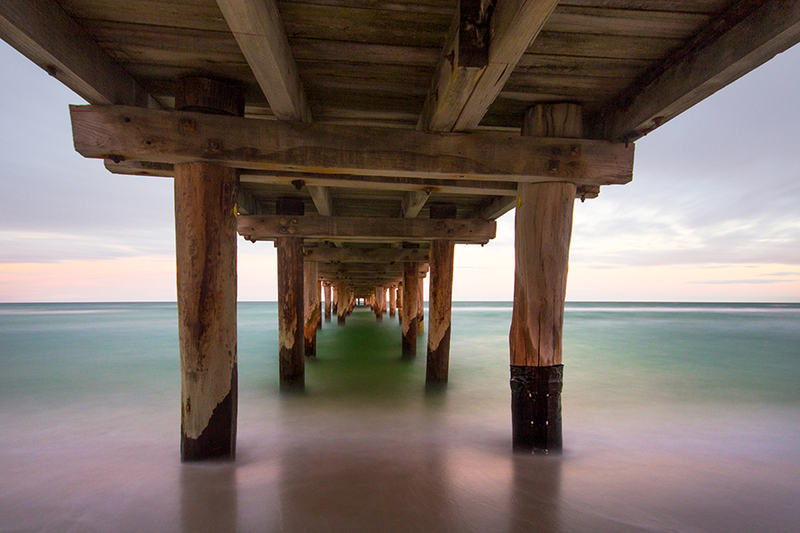 A long exposure image taken at Mentone beach just after sunset. Available as a high quality print at my Redbubble and Zazzle websites. The beautiful Koonya beach at Blairgowrie. A favorite spot of mine to sit and watch nature at it’s best. 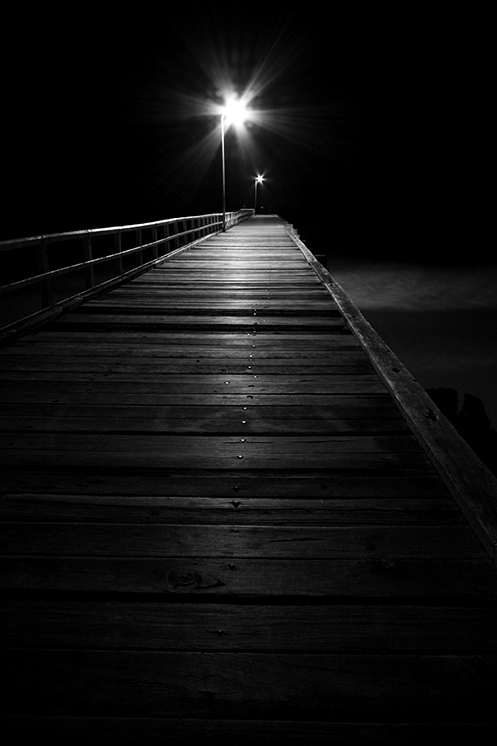 The image is available as a print at my Redbubble and Zazzle websites. Available as a quality print at Zazzle or Redbubble. 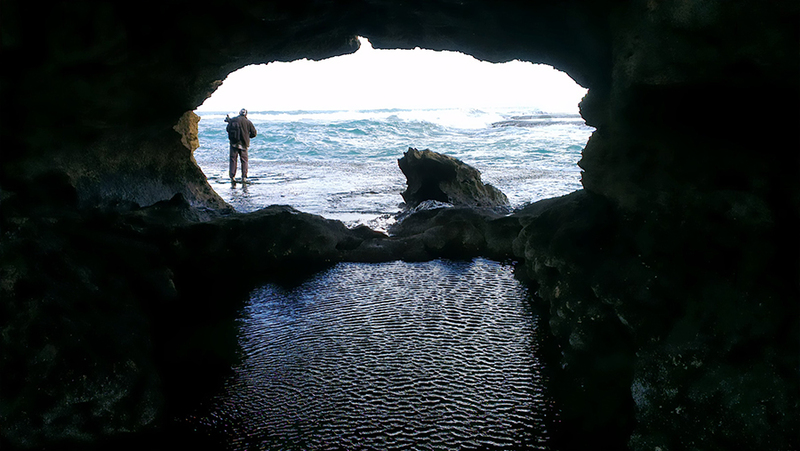 An image from Sorrento back beach, near the Sphinx rock formation. Available as a print at Zazzle or Redbubble. 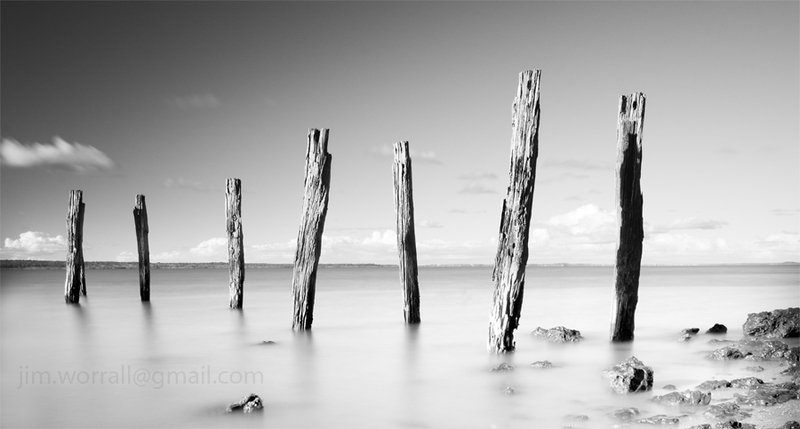 A couple of long exposure images from the groyne on the beach at Mentone near the pub. 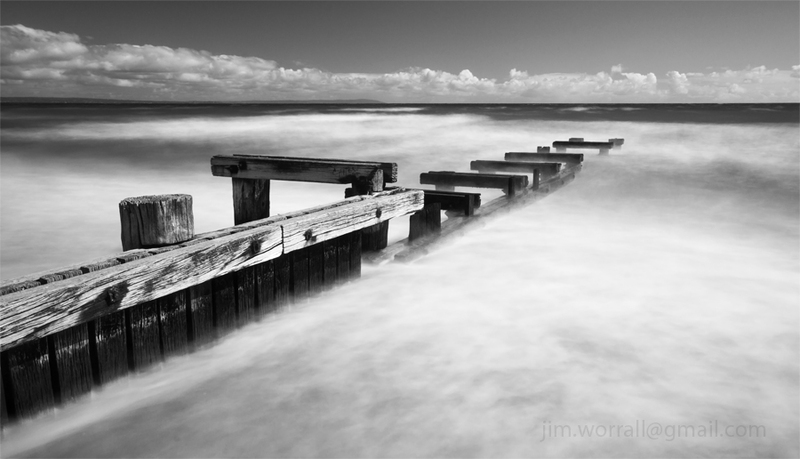 A long exposure image at high tide from the picturesque shores of Tenby Point on Western Port Bay, Australia. November is a great time of year on the Mornington Peninsula back beaches. 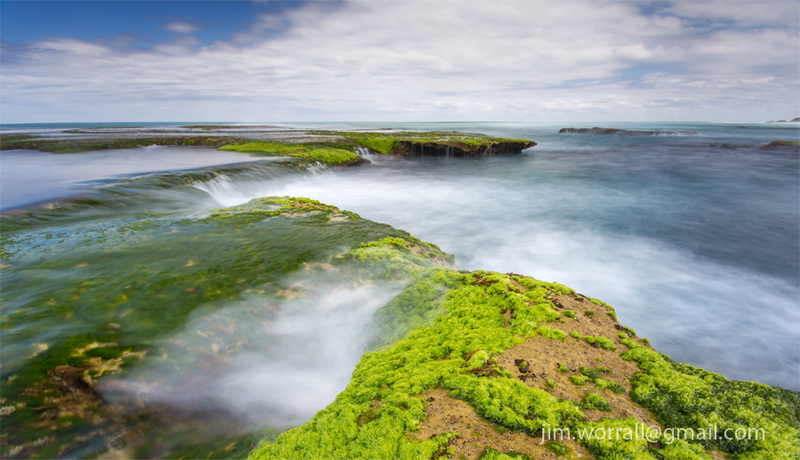 The warming water signals an explosion of bright green seaweed on the rocky plateaus all along the coast. 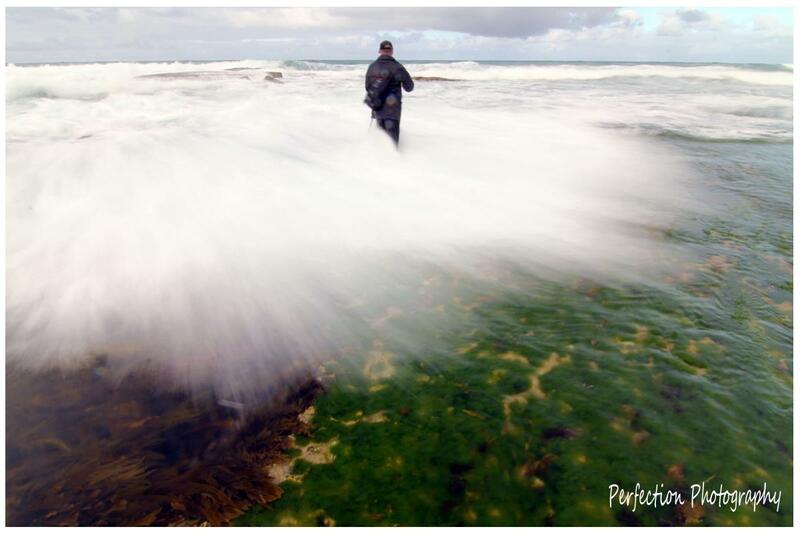 Following are a couple of shots of the beautiful rock pools available to explore at Sorrento back beach during low tide. In these images I’ve used an ND400 filter to smooth the background waves and a polarizing filter to remove the sky’s reflection from the surface of the pools. Jetty remnants at The Dell at Clifton Springs in Victoria, Australia. Firstly just a quick note to let you know that I’ve updated the blog to give it a whole new look and most importantly it will now allow me to display larger images on the page. Screen sizes and resolutions have changed dramatically since I first started the blog several years ago. I’m sure you’ll agree that larger images is a step in the right direction. 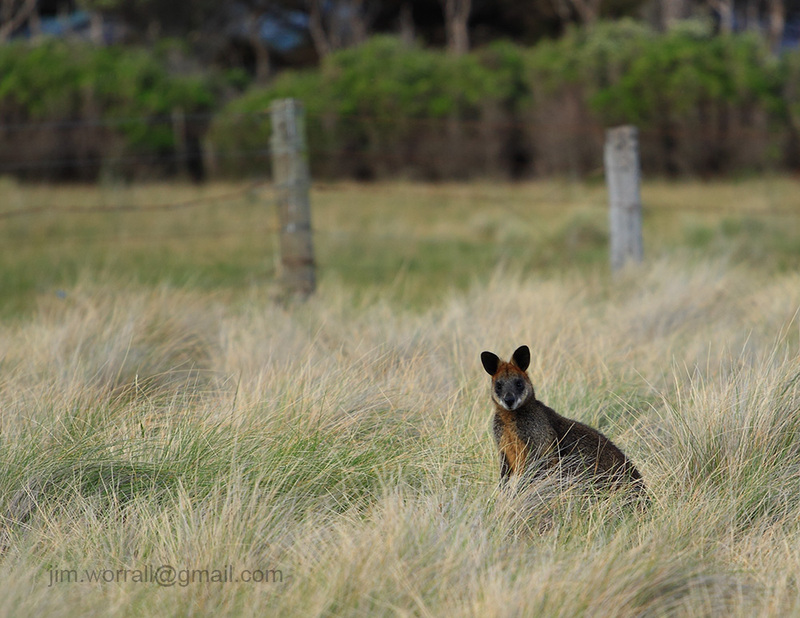 The following images are from a morning trip down to Sorrento on the Mornington Peninsula. Now for some fun shots. The two images below were taken by my friend Stephen Pretty from Perfection Photography. He managed to catch a couple of golden moments in time where the waves got the better of me.